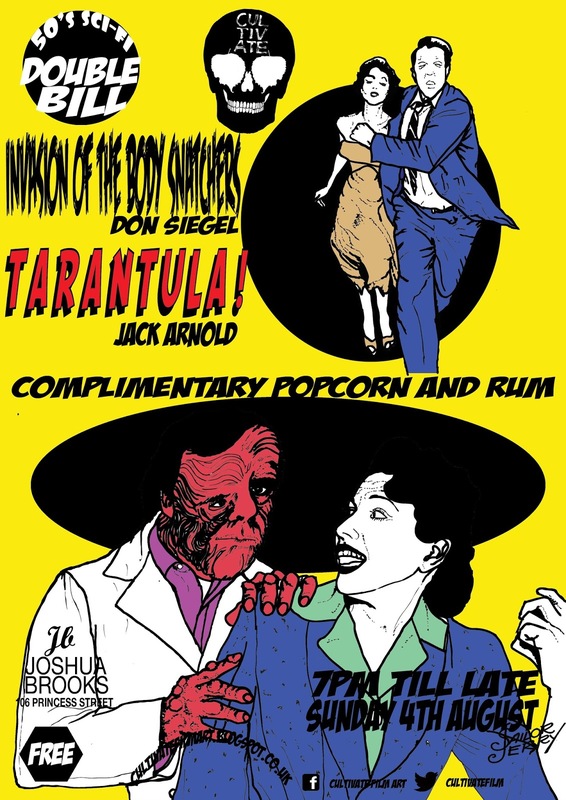 CULTIVATE FILM ART: INVASION OF THE BODY SNATCHERS AND TARANTULA! 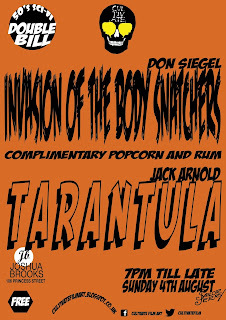 INVASION OF THE BODY SNATCHERS AND TARANTULA! 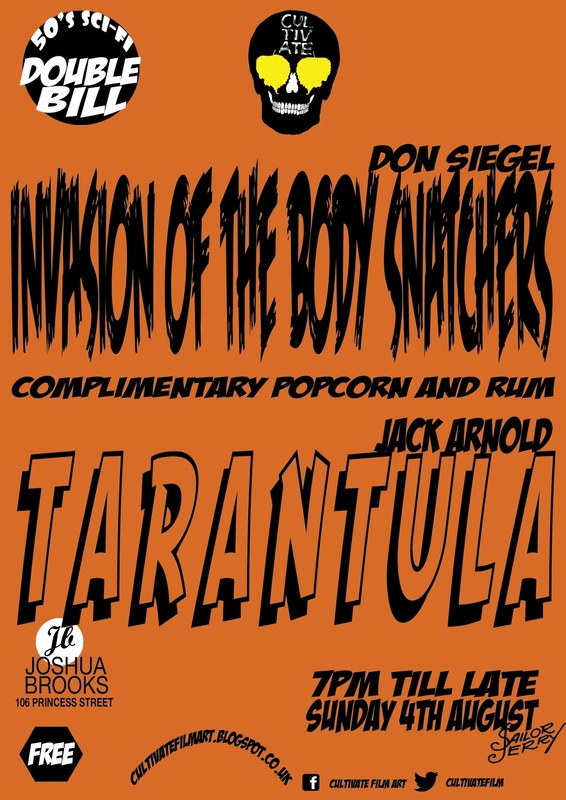 This weeks double bill is a fifties sci-fi special with two classics, first up INVASION OF THE BODY SNATCHERS based on the Jack Finney novel of the same name not the Philip Kaufman remake but the original directed by Don Siegel. The story depicts an extraterrestrial invasion in a small Californian town the extraterrestrials replace the humans by duplicating them physically but lack any kind of human emotions, sounds a little farfetched well not according to the United States National Film Registry who selected it for preservation due to its cultural, historical and aesthetic significance. Next up TARANTULA! The classic creature feature, if there was any film designed to force you to question the nature of animal testing it was this film. When a lab spider packed full of growth hormones escapes from the safety of it Arizona laboratory it can only mean one thing a classic fifties disaster movie and Jack Arnold delivers.